The Empowerment for Local Development (ELD) Program held a training course on community participation and the ELD field mechanism (community activism). The activity targeted 52 graduates of RAWFD program within the project of Youth Employment in Community Activism. 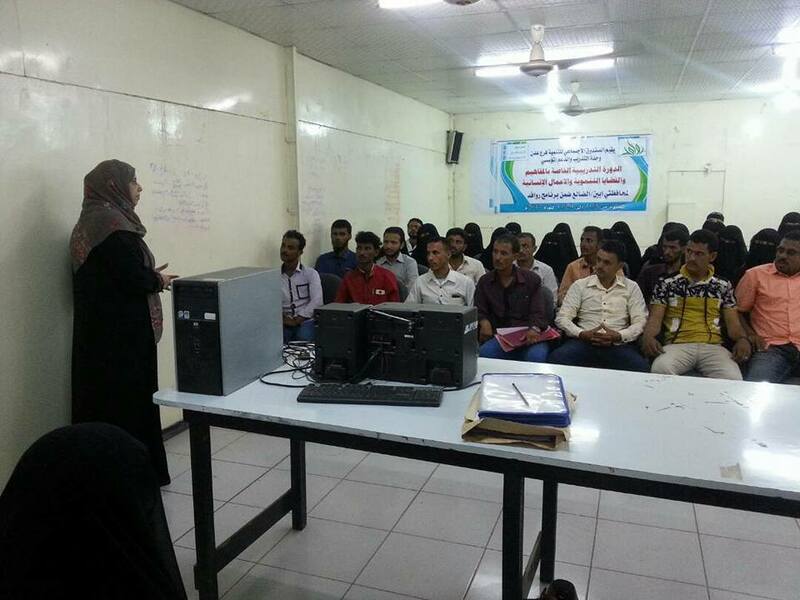 The training has also trained the participants on training the Village Cooperative Councils and enhancing social cohesion in the governorates of Al-Dhali (Al-Azariqa and Qataba) and Abyan Governorate (Khanafar and Mawdiya). The course continues from 6-22 November 2017. The participants have also been trained on advocacy for development and humanitarian activities in addition to basic computer skills.